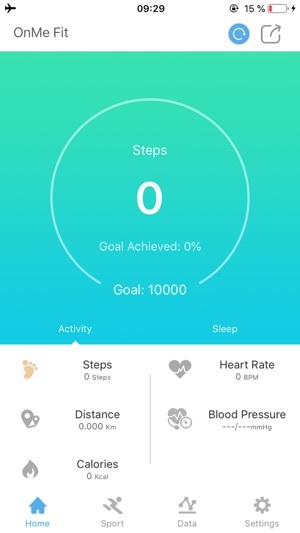 OnMe FIT is a very professional health application that helps you keep track of your daily health and sleep conditions and heart rate, and monitor your health in real time. Professional sports and sleep monitoring calculations, calorie consumption statistics, distance and time of real-time statistics. 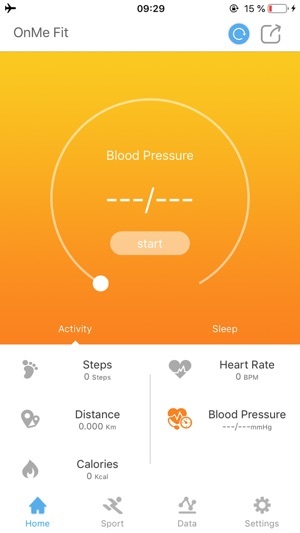 OnMe FIT can be connected to the Bluetooth 4.0 protocol fashion bracelet, you can connect most of the smart phone, once the connection is successful you can experience the real-time movement and rest monitoring. You can use the software to provide body sculpting know, eating habits, exercise promotion, sleep improvement, etc. to achieve a healthy and healthy life. You can also optimize your laws of life through a data review (view your historical data). In the future, we will be more professional and in-depth to provide you with data interpretation and health advice to help you better manage and improve your personal health. 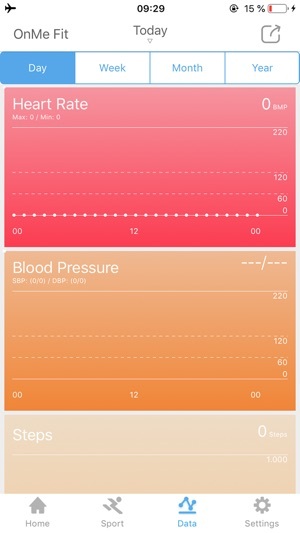 -OnMe Fit is already access to HealthKit. -Continued use of GPS running in the background can dramatically decrease battery life.